Economy 12” x 15” Dry Heating Pad from Incontinence Products Plus provides soothing warmth for aches and pains. 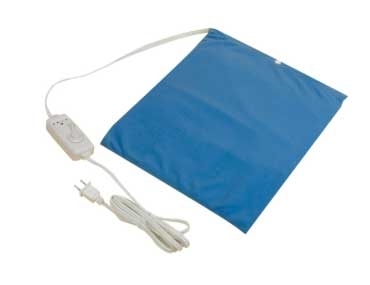 The electric heating pad has a 3 setting temperate adjustment to provide the level of heat you want. The Economy Heating Pad includes a washable cover. Themophore Classic Large 14�۝ x 27�۝ Automatic Moist Heat Pack Electric Thermophore MaxHeat Muff Automatic Moist Heat Pack Electric TheraBeads Standard 9 x 12 Microwave Heated Moist Heat Therapy Pack NexCare Reusable Cold Hot Packs 4" x 10"